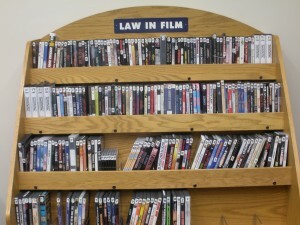 The Pace Law Library has a growing Law in Film Collection. The following are some of the most recent additions to this collection, which is located on the main level of the library in our student lounge. 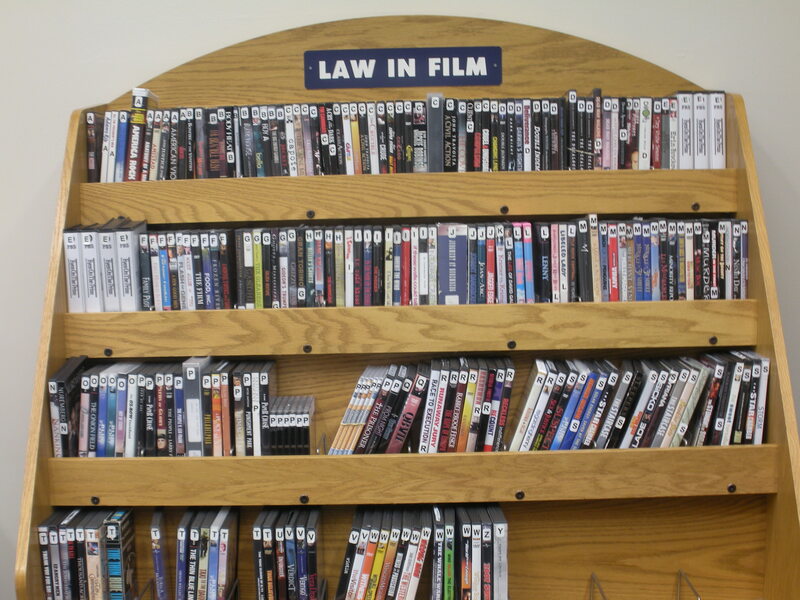 All our patrons with borrowing privileges may check these films out for up to five days at no charge. Check it out yourself! Fracknation (directed by Phelim McAleer, Ann McElhinney, Magdalena Segieda; produced by Phelim McAleer, Ann McElhinney) [TD195.G3 F7358 2013 DVD] – Journalist Phelim McAleer searches for the truth about the alleged dangers of fracking, a method of extracting natural gas from shale rock by drilling deep underground, specifically challenging claims made by activist Josh Fox in his film Gasland. Interviewing scientists and individuals directly affected by fracking, McAleer presents a different side to the fracking debate. Last Call at the Oasis: Art Takes Over (ATO Pictures and Participant Media present a film by Jessica Yu; producer Jessica Yu; produced by Elise Pearlstein; directed by Jessica Yu) [HD1691 .L38 2012 DVD] – Examines threats to the world water supply, such as pollution and shortage, and proposes that measures be taken to protect it. Trashed (Blenheim Films presents; executive producer Jeremy Irons; produced by Candida Brady & Titus Ogilvy; written & directed by Candida Brady) [TD791 .T73 2013 DVD] – Looks at the risks to the food chain, environment, and health in various parts of the world through pollution of air, land, and water by the production and accumulation of solid waste. Prince of the City (Orion Pictures Company, Warner Bros. present; directed by Sidney Lumet. produced by Burtt Harris; screenplay by Jay Presson Allen and Sidney Lumet; directed by Sidney Lumet; distributed by Warner Bros. Pictures) [PN1997.2 .P77 2007 DVD] – New York cop Daniel Ciello (inspired by real-life undercover narcotics cop Robert Leuci) is involved in some questionable police practices. He is approached by Internal Affairs and in exchange for him potentially being let off the hook, he is instructed to begin to expose the inner workings of police corruption. The House I Live In (a film by Eugene Jarecki; an Edgewood Way production; Charlotte Street Films presents; a co-production of BBC Storyville/ITVS/ZDF; executive producers, Joslyn Barnes, Nick Fraser, Danny Glover, John Legend, Brad Pitt, Russell Simmons; produced by Eugene Jarecki, Melinda Shopsin; written and directed by Eugene Jarecki; executive producers, Roy Ackerman, David Alcaro; producers, Sam Cullman, Christopher St. John; produced in association with NHK Japan, SBS-TV Australia, Louverture, Al Jazeera Documentary Channel, VPRO) [HV5825 .H68 2013 DVD] – For over 40 years, the War on Drugs has accounted for more than 45 million arrests, made America the world’s largest jailer, and damaged poor communities. Yet for all that, drugs are cheaper, purer, and more available today than ever before. Filmed in more than 20 states, it captures heart-wrenching stories from individuals at all levels, the dealer to grieving mother, the narcotics officer to the senator, the inmate to the federal judge, revealing profound human rights implications. Received Grand Jury Prize in the Documentary category at the 2012 Sundance film Festival. Malice (Metro Goldwyn Mayer; Columbia; Castle Rock Entertainment in association with New Line Cinema presents; a Harold Becker film; story by Aaron Sorkin and Jonas McCord; screenplay by Aaron Sorkin and Scott Frank; produced by Rachel Pfeffer, Charles Mulvehill and Harold Becker; directed by Harold Becker) [PN1997 .M35 1993 DVD] – When a serial killer begins murdering female students in a New England town, the college dean becomes involved in the investigation while wondering about the surgeon who has taken a room in his house. Anita: Speaking Truth to Power (Chanlim Films; American Film Foundation; in association with Impact Partners and Artemis Rising Foundtion; a film by Freida Mock; director, writer, producer, Freida Mock) [KF374.H55 A55 2013 DVD] – The story of Anita Hill, who has empowered millions to stand up for equality and justice.